Goldwater's was a fine department store with several locations throughout the Phoenix Valley area from the mid-1890s to the mid-1960s when it was sold to Associated Dry Goods. Michael Goldwater, his original name was Michael Goldvasser, was born in Poland. He married Sarah Nathan in 1850 and they had eight children together. 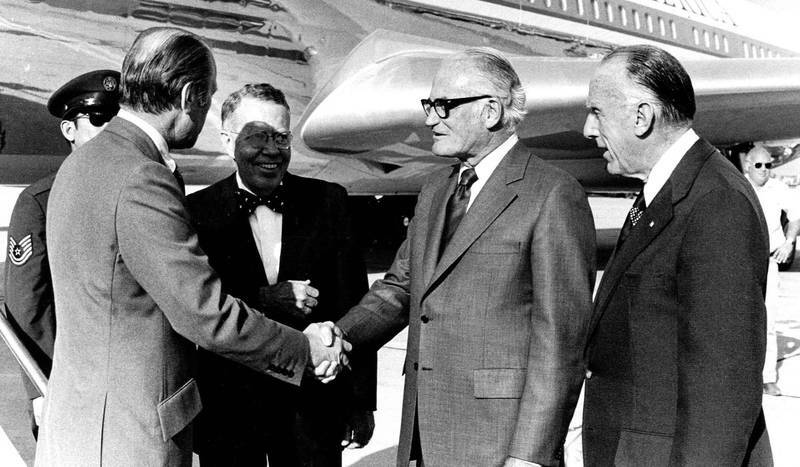 In 1852, Michael's family and his brother, Joseph "Little Joe" Goldwater moved to the United States. The Goldwaters moved to Los Angeles in 1857 to operate a billiard parlor and dry goods store. In 1860, Big Mike took a wagon of goods to Gila City, Arizona, a small mining town. While in Arizona, the Goldwaters opened a store in La Paz, Arizona in 1862. 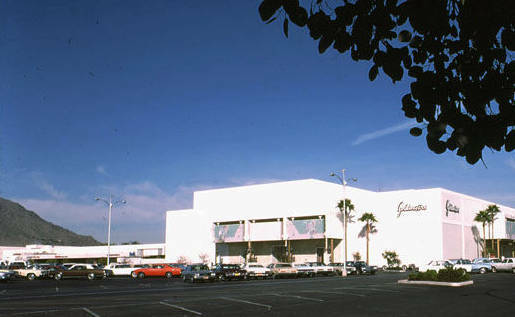 The Goldwaters had a Los Angeles capitalist partner, Bernard Cohn for the first store. They eventually bought out Cohn in 1867. 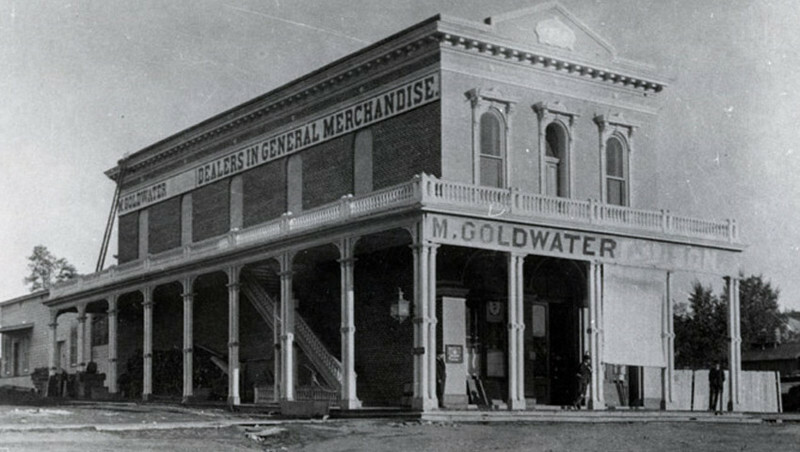 In 1872, the first Phoenix Goldwater store opened with Michael Goldwater's son, Morris managing it. The store suffered from low profits and closed in 1875. Again in 1879, Morris Goldwater opened a new store in Prescott, Arizona. With the success of the new store, Michael Goldwater retired in 1883. Michael's sons opened the famous Goldwater's Department Store of Phoenix in 1896. Eventually the Goldwater's Department Stores were sold to Associated Dry Goods. The remaining branches of the stores are now Macy's. The Goldwater family reclaimed the old store's logo in 1989 and opened a new food company called Goldwater's Foods. The new company is headed by Michael Goldwater's granddaughter Carolyn Goldwater Ross. 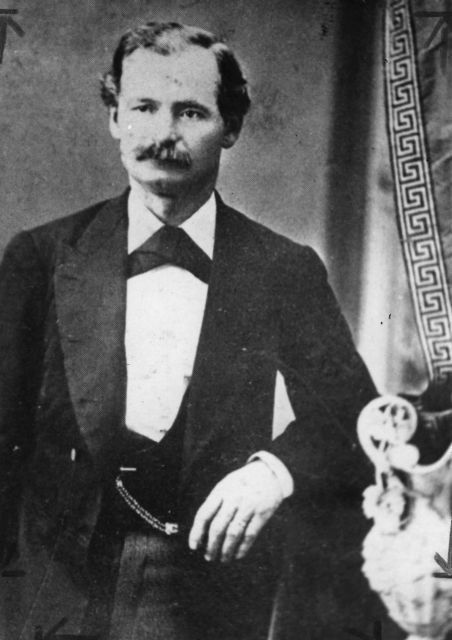 Michael "Big Mike" Goldwater: In 1860, Big Mike Goldwater traveled down to the mining town of Gila City in Arizona. He then opened his first store in La Paz, Arizona in 1862. It was not until 1872, that the first Phoenix Goldwater store was opened. ~ Source: "Michael "Big Mike" Goldwater, " Jewish Museum of the American West <http://www.jmaw.org/goldwater-jewish-arizona-pioneer/> accessed December 6, 2016. Goldwaters Department Store At Scottsdale Fashion Square. 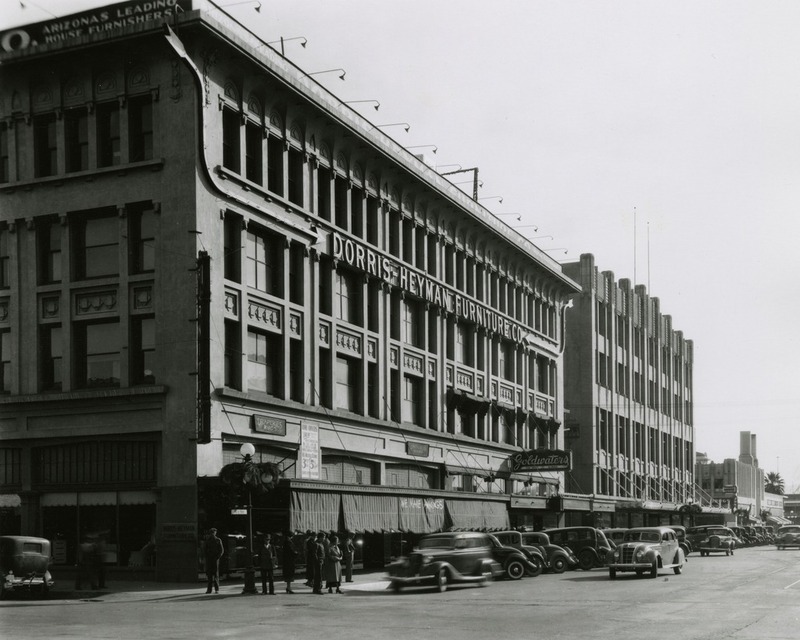 : The Goldwater family opened a department store in downtown Phoenix prior to 1900. In 1950, they expanded to a small store on the northeast corner of Scottsdale Road and First Avenue. Goldwater's became the major anchor tenant at the new Scottsdale Fashion Square when it opened on the northwest corner of Scottsdale and Camelback Roads in the fall of 1961. By the 1990s, the Scottsdale Fashion Square location became a Robinson's department store (later Robinso's-May), then was completely renovated in 2008-09 to house new shops in the east end of Scottsdale Fashion Square. 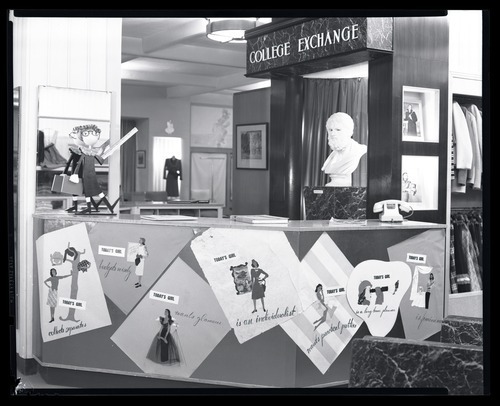 ~ Source: Scottsdale Remembers: Scottsdale Historical Society, Goldwaters Department Store At Scottsdale Fashion Square <http://azmemory.azlibrary.gov/cdm/ref/collection/splrem/id/39> accessed December 10, 2016. 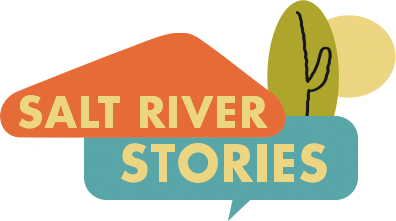 Heather Roehl, “Goldwater's Department Store,” Salt River Stories, accessed April 18, 2019, https://saltriverstories.org/items/show/219.